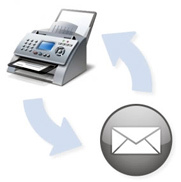 Tri-lakes Internet Fax to Email saves time and money by using your email to receive fax any time, anywhere! Read your faxes right in your email inbox and easily store them for future reference as a digital file. Unlimited inbound & outbound faxes — Compare to eFax with 130 pages limit per month! Local number uses your area code. Receive faxes from home, the office, or on the road — It's the ultimate in convenience for mobile employees. Send and receive multiple faxes at a time. Senders won’t get frustrated by busy signals. And you won’t be waiting on important faxes to arrive. Confidential faxes don’t sit on fax machines or in trays where they can be seen by unintended eyes. Storing faxes is simpler with digital fax documents. And searching for old ones is much quicker and easier.